In the six decades since the creation of New Delhi as the capital of British India, the city has undergone a sea change. Made in initially to cater to a population of 70,000, the total urban population of Delhi now exceeds 10 million. The city has exploded in all directions beyond the confines of Lutyen's wide, tree-lined avenues, with an exuberance that is characteristically Indian. The line of distinction between Old and New Delhi has begun to blur north, south, east and west Delhi are more prevalent terms of demarcation. The facilities and opportunities available in Delhi have attracted Indians from far-flung corners of the country, making it a melting pot of sorts. On the other hand, the presence of diplomatic and trade missions, the growing number of multi-national companies and foreign investors, and the influx of tourists and visiting professionals have given the city, especially its southern and central parts, a cosmopolitan air. Morning the guests at the tour proceed on a rapid tour of New Delhi, starting early morning to visit the places that have the captured the interests of many tourists from time immemorial. Delhi is one of the most historic capitals in the world and two of its monuments-the Qutb Minar and Humayun's Tomb-have been declared World Heritage Sites. It is also one of the greenest capitals. For the visitor, it serves as a perfect introduction to the cultural wealth, the complexities and the dynamism of India which Jawaharlal Nehru likened to "an ancient palimpsest' on which layer upon layer of thought and reverie has been inscribed". Delhi has some of the finest museums in the country. Its boutiques and shopping arcades offer access to a wealth of traditional and contemporary crafts from all over the country. It has specialty restaurants to please the gourmet, the open parks and gardens ablaze with flowers, and in the winter months particularly, a variety of cultural events. Its many-layered existence is tantalizing and can entice the curious traveler into a fascinating journey of discovery. In the afternoon the guests are assisted for the station to Leave Delhi for Umaria by the Utkal Kalinga Express (1250 hrs). Overnight enroute on board the train. On Arrival in Umaria railway station at 0600 hrs,the your are taken Tiger Den Resort in Bandhavgarh (32 Kms). On arrival check-in at the Jungle Resort. 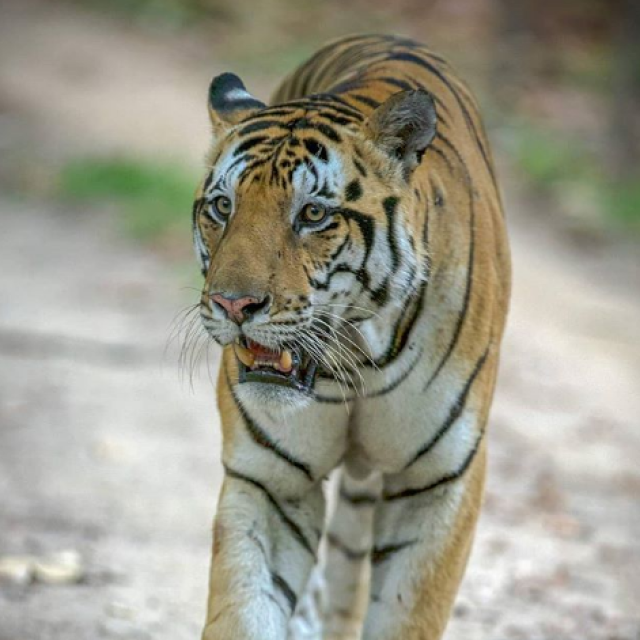 The density of the tiger population at Bandhavgarh is relatively high. The possibility of spotting Sloth Bear, Wild Boar, Leopard and Tiger is very good. The park is also densely populated with animals like the Chital (Spotted Deer), Sambhar, Barking Deer, Nilgai (Blue Bull), Chowsingha (Four Horned Antelope) and is rich in bird life. The terrain is rocky, rising sharply from the swampy and densely forested valley. The finest of these hills is Bandhavgarh, which is bounded by great cliffs and eroded rocks. The Bandhavgarh Fort, believed to be 2000 years old, stands at the highest point. There is a temple at the fort that can be visited by jeeps. Scattered throughout the park, particularly around the fort, are numerous caves containing shrines with ancient Sanskrit inscriptions. The ramparts of the fort provide a home for vultures, blue rock thrushes and crag martins. Dinner and overnight in Bandhavgarh. 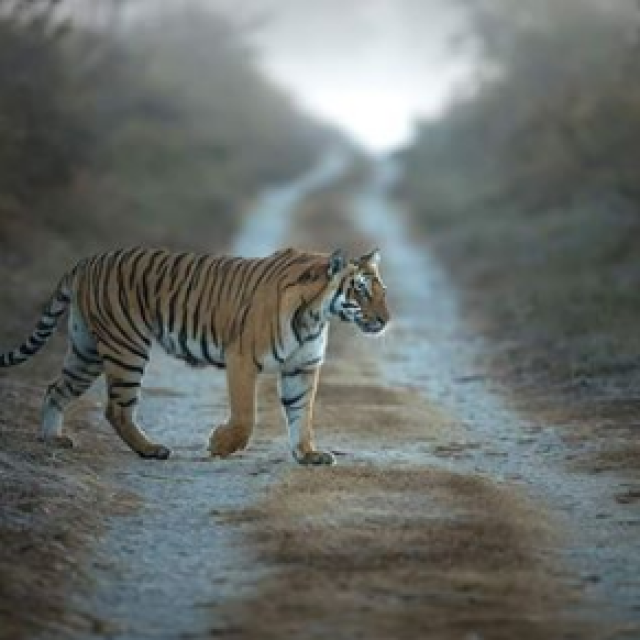 The morning of the 4th day has something exciting for every tourists who is a part of this tour as all the adventure rides to track the majestic big cat is planned and executed as the dawn draws in with the golden rays of the sun making its way on every part of the forest. The Forest Department has devised an ingenuous system of tracking the tiger at this Park. Every day, early in the morning, elephants and their "Mahouts" (drivers) are sent out into the jungle, in search of the Tiger. Once it has been sighted, a radio message is flashed to the Forest Ranger, who in turn informs the visitors in their jeeps, who are then taken on elephant-back, into the bush, to see the elusive Tiger. Breakfast, Lunch and Dinner at the Lodge. 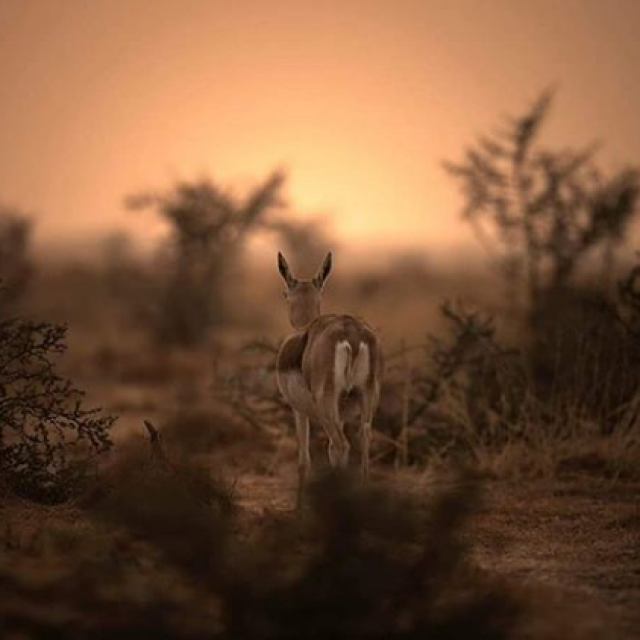 Morning and afternoon game drive into the sanctuary by Jeep. Overnight in Bandhavgarh. 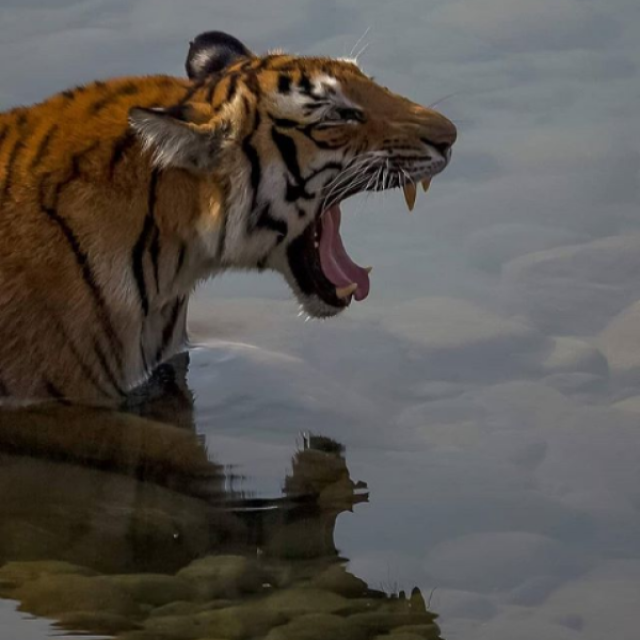 This is the last day the Bandhavgarh national park as the guests visit the forest and try to spot the animals there.In the evening they are transferred to the Umaria Railway station (45 kms/ 1½ hrs) to connect the train for Delhi. Arrangements are made to carry packed food for the journey. Leave Umaria for Delhi by Kalinga Utkal Express leaving Umaria at 2242 hrs. Overnight enroute on board the train. Arrive Delhi at 1330 hrs in the afternoon. Meeting and assistance on arrival at Hazrat Nizam-uddin Railway Station and transfer to hotel. Immediate accommodation for the guests is given on arrival making it easy and comfortable. Rest of the afternoon at leisure for independent activities. As this is the day before last before the journey comes to an end the visitors are treated with an exclusive farewell dinner in the evening. Transfer to the International Airport to board flight back home.